This article focuses on wrongful discharge cases and settlements in Utah. It is usually uncommon for great cases to go to trial, because they typically reach settlement out of court. But when they don’t reach settlement, there is a lawsuit, where the defendant or the plaintiff will be the winner. Many of these lawsuits consist of mixed settlements, meaning that they involved one, or a number of claims of wrongful termination as a result of firing in violation of public policy, race, color, national origin, religion discrimination, disability, breach of employment contract, age discrimination, gender discrimination, workplace retaliation or constructive discharge. The data which follows shows a summary of the various kinds of claims filed and additionally their respective volumes in UT in 2017. EEOC v Adecco USA Inc.
Jeffrey A. Byard was an office supervisor at Adecco’s offices in Clearfield, UT. His supervisor, a woman, was being sexually harassed, and he spoke out in support of her case. He was fired not long afterwards. Alleging wrongful termination in retaliation for his support of a sexual harassment victim, he filed a report with the EEOC. They sued the company for violating Title VII of the Civil Rights Act of 1964. EEOC v Tepanyaki of Clearfield LLC. Tepanyaki is a Japanese restaurant in Clearfield, Utah. The restaurant hired Alison Woodbury to work as a waitress. During her training, the owner learned that she was pregnant and immediately terminated her. EEOC v Holmes & Holmes Indus., Inc.
Holmes & Holmes is a construction company based in Utah. The Utah Antidiscrimination and Labor Division conducted an investigation into a report received by several African-American employees working for the company. They alleged that racial discrimination was rampant at the company, as a site superintendent, Paul E. Facer, persistently referred to black workers in demeaning ways. Racist graffiti was drawn on the toilets, and other employees were involved in creating a hostile environment as well. One of the victims tried to report the harassment to management, but he was fired in retaliation. Racial discrimination and retaliation violate Title VII. The EEOC and the Utah Antidiscrimination and Labor Division sued the company on behalf of 3 victims. A judge awarded the victims $50,000 each in damages, plus $80,000 to the wrongfully terminated employee. Sandra Houston was the chairwoman and professor of Civil and Environmental Engineering at Arizona State University. She applied to become the dean of the USU College of Engineering, but she was rejected and a lesser qualified male got the job. She sued the university alleging that the reason she was passed over was that she was a woman. She claimed that university administrators were upset with the recent hiring of female deans, which was the reason they wanted a male this time. The EEOC sued the Papa John’s franchisee for discriminating against an employee with Down syndrome, an intellectual disability. Scott Bonn worked at a Papa John’s location in Farmington, Utah as a pizza box folder. He worked there successfully for 5 months with the help of a job coach, who was independently employed and insured. When a corporate operating partner came to visit the location and saw Bonn working with the assistance of the job coach, he ordered the discharge of the mentally disabled employee. The EEOC sued the company for violating the Americans with Disabilities Act. The use of a job coach represented a reasonable accommodation. EEOC v Beehive of Vernal, Inc.
Beehive of Vernal operates a nursing home in Vernal, Utah. The assistant manager of the home learned that she was pregnant and she informed her managers. From that point on, she was subjected to closer scrutiny, was repeatedly asked when she would stop working, and as a result, she was compelled to quit. The owner of the business acted similarly with another pregnant assistant-manager as well, demoted her, and terminated her. As you look through this list of unlawful firing settlements from Utah, remember the large amounts are as a consequence of punitive damages. Punitive damages are brought to discourage employers from engaging in the same kind of unlawful act. Punitive compensation is extremely infrequent. A large percentage of lawsuits settle for approximately $20,000 to one hundred thousand dollars. 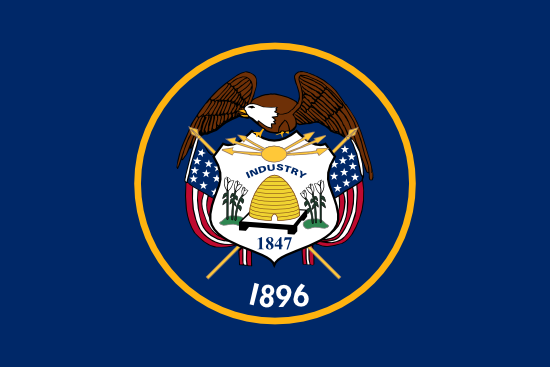 This listing of wrongful termination settlements and verdicts in UT is intended for informational purposes. Even though you may feel resemblance to any of these cases, remember that each and every single situation is different. If you think you were wrongfully terminated, it’s understandable that you would like to check how much money you could receive for your unlawful termination claim. If you reach settlement (or prevail in court), the amount you receive is mostly based on the following: benefits lost, reason of discharge, job search costs, lost wages, medical costs and emotional distress. Punitive damages could be awarded in rare situations, in the event the company behaved egregiously. As you’ll see from the sample lawsuits above, giving a typical settlement for unlawful discharge claims in UT is tricky because each claim is different. The average wrongful termination settlement in Utah is between $5,000 and $90,000. Attorneys continue to be effective when it comes to negotiating a larger settlement. The typical courtroom awards are generally bigger, around $110,000 – $400,000. This is certainly one of the reasons organizations like to accept a settlement before going to court. If you believe you had been fired for some kind of unlawful cause, here is what to do. First, it is important to get in touch with a wrongful termination law firm in Utah in order to discover whether or not there is a case worth going after. Don’t put it off, because there are certain cutoff dates for filing wrongful discharge claims in Utah. Next, you’ll probably need to submit a timely claim with the Utah Antidiscrimination and Labor Division. These are the steps you’ll want to take to file a wrongful termination lawsuit.